The deadlock between DUTA and the University of Delhi’s (DU) administration finally terminated on the 16th of June 2018, a result of the meeting between the Vice Chancellor of DU and the DUTA office bearers. Two days later, on 18th June, the DUTA ended their boycott of evaluation of DU examination papers, in the interest of the student community. Notably, the DUTA had been agitating against the UGC’s circular dated 5th March that included a number of provisions which would have allegedly denied reservation of teaching positions in smaller departments to members of the ST, SC and OBC communities. Moreover, it would have derailed the process of permanent appointments and displace ad-hoc teachers who have been teaching for many years. 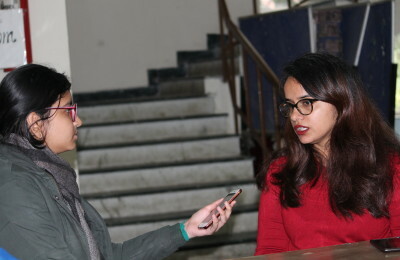 In Saturday’s meeting, the VC had broken the deadlock by assuring the DUTA that the DU administration will try to get all working ad-hoc faculty continued in the new session. Moreover, regarding the issue of the counting of past services, he had agreed to allow a five-member DUTA delegation to represent its position before the University Committee. Subsequently, on 18th June, the DUTA held an emergency Executive Meeting followed by a General Body meeting in order to decide their future course of action after the VC’s assurances. In the same, the DUTA decided to terminate their evaluation boycott while resolving to take forward its agitation through alternate modes.